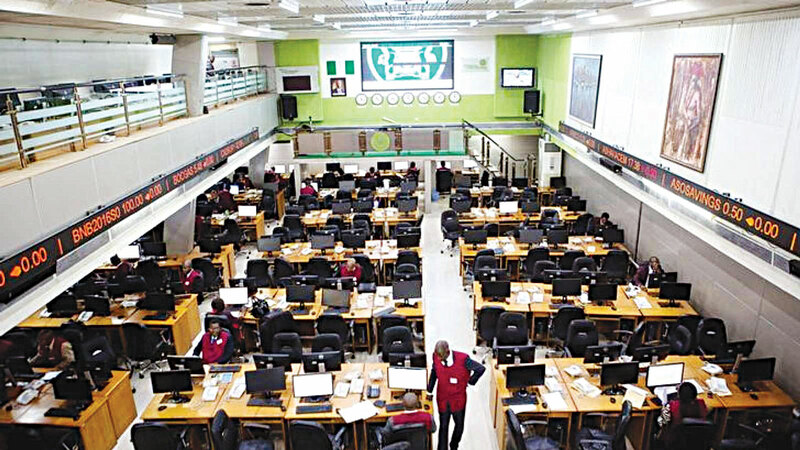 For the second day in succession, the price gaining streak on the Nigerian Stock Exchange (NSE) continued with rally is highly capitalised stocks lifting the equities market by 0.53 percent in Thursday’s trading session to settle at 29,347.62 points. A 2.1 percent gain in the share price of Guaranty Trust Bank that closed at N34.25, another 6.1 percent appreciation in FBN Holdings stock which closed at N7.8 and UBA’s 2.4 percent share price growth to settle at N6.45 made up heavy movers in the day’s trading activities, increasing market capitalisation by N57.9 billion to regain the N11.0 trillion mark. This reduced the year-to-date losses at the equities market to -6.6 percent. However, activity level weakened as volume and value traded shed 45.5 percent and 18.2 percent to 224 million units and N2 billion respectively. Accounting for the top three trades by volume were Zenith Bank with 45.4 million units, Lasaco Assurance with 42.3 million units and Access Bank with 21.7 million units, while Zenith Bank with N927.7 million worth of shares exchanged, Guaranty Trust Bank with N376.9 million and Stanbic IBTC with N135.3 million led the day’s top three trades by value. Sectoral performance ended mixed with three of five major sectors closing in green, one in red, while one closed flat. The Insurance index led advancers, up 1.9 percent following bargain hunting in NEM Insurance (+10.0%) and Niger Insurance (+10.0%). The Banking and Industrial Goods indices trailed, appreciating 1.1 percent and 0.8 percent respectively on the back of buying interest in Guaranty Trust Bank (+2.1%), FBN Holdings (+6.1%), UBA (+2.4%) and Lafarge WAPCO (+3.9%) while the Oil & Gas index closed flat for the second consecutive trading session despite profit taking in Eterna Oil (-8.1%). On the flip side, the Consumer Goods index fell 0.1 percent on account of losses in PZ Cussons (-9.7%) and Dangote Flour (-5.9%). Investor sentiment as measured by market breadth i.e. the advance/decline ratio of stocks strengthened to 2.1x from 1.3x recorded in the previous trading session as 15 stocks advanced against 7 decliners. Leading the advancers were NEM Insurance (+10.0%), Niger Insurance (+10.0%) and Fidelity Bank (+8.7%) while Ikeja Hotel (-9.8%), ABC Transport (-8.3%) and Eterna Oil (-8.0%) led the day’s decliners.